Bhati Mines is a settlement of about 50,000 inhabitants living in around 8,000 households. An estimated 40 to 50 per cent of these households lacked household toilets as of December 2015 and members of these households largely resorted to open defecation. 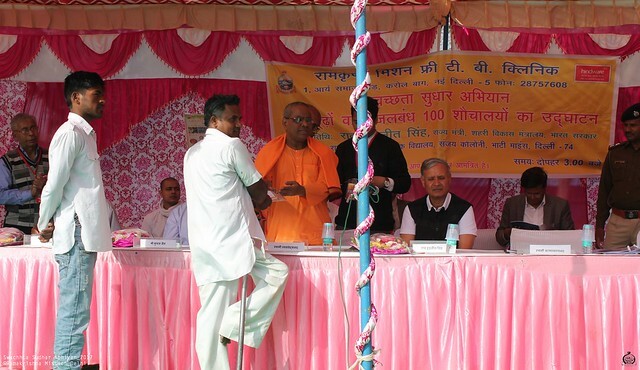 Following requests from the Government of India to Ramakrishna Mission to facilitate the Swachh Bharat initiative, this project was taken up to improve the sanitary condition of the locality. Awareness campaigns were held to sensitize the Bhati Mines populace on the importance of hygiene and sanitation and the dangers of open defecation and to familiarize them with a relatively cheap toilet model in form of the Twin Pit Pour Flush (TPPF) latrine. 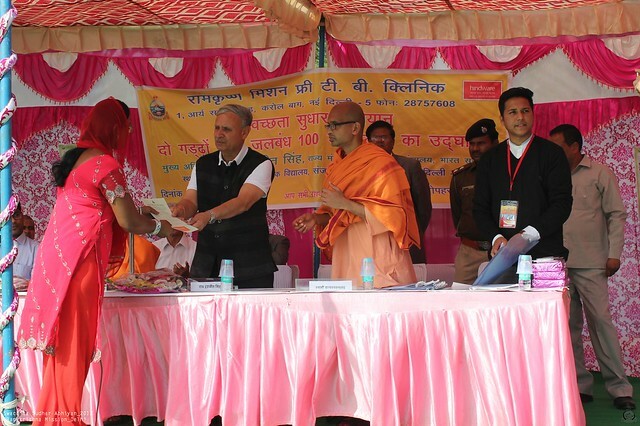 100 households were selected from more than 1000 applications received based on need assessment surveys; material and technical support was provided to these households for TPPF latrine construction in participatory mode. Local masons were trained in effective TPPF latrine construction and supervisory visits were held to ensure high quality execution that followed standard norms. 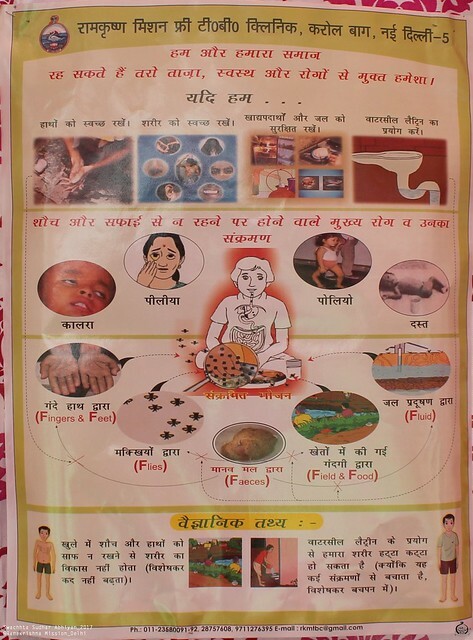 The household members were educated in effective operation and maintenance of these toilets. 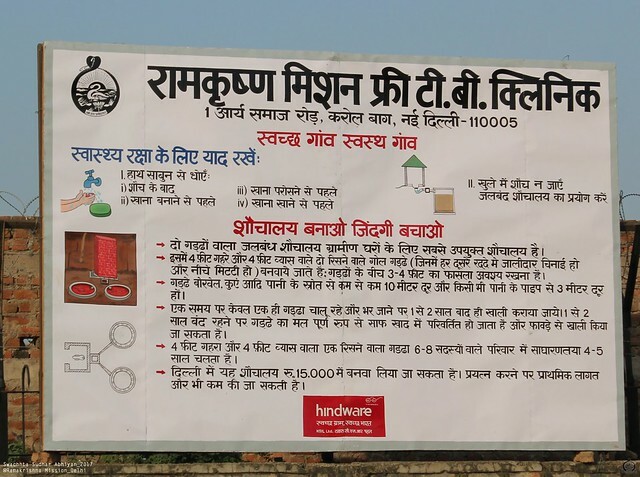 Due to increased awareness, we expect more households in the locality to construct toilets on their own initiative. 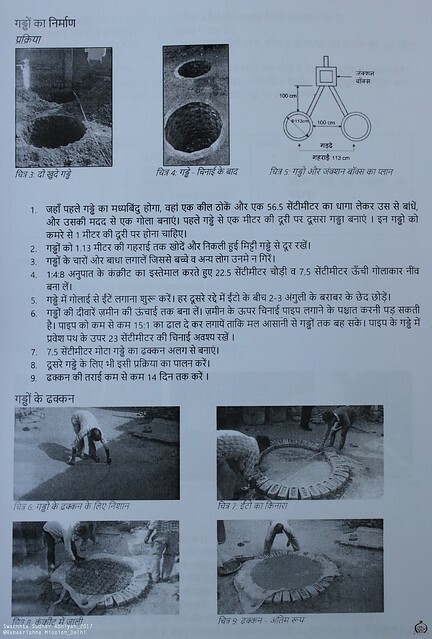 A booklet on TPPF latrine construction in Hindi as well as online programme management software were also developed with the help of volunteers and interns from Indian Institute of Technology Delhi. Rao Inderjit Singh, Minister of State, Urban Development, Govt. 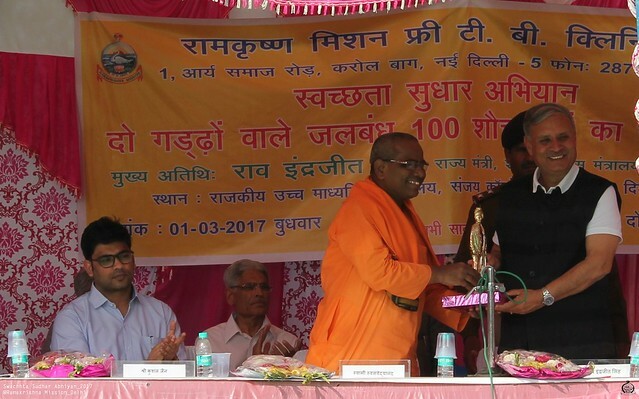 of India, inaugurated the 100 toilets at a function in Bhati Mines on 1.3.2017 and released the booklet on TPPF latrine construction in Hindi.